Takers of March 2013 Real Estate Broker Board Exam results can now be viewed here. 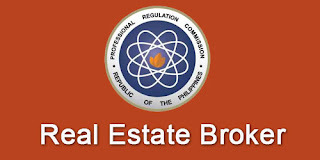 The Professional Regulation Commission officially published the 1,928 passers out of 2,969 examinees of the Real Estate Broker exam given this month. PRC conducted the test in the cities of Manila, Baguio, Cagayan de Oro, Cebu, Davao, Iloilo and Lucena. The results were released in 8 working days after the last day of exam. Comments or suggestions about "Real Estate Broker Passers March 2013 - Real Estate Board Exam Results" is important to us, you may share it by using the comment box below.